Out of all the monitors we've tested in 2018, we'd describe AOC's Q3279VWF as the most tempting. 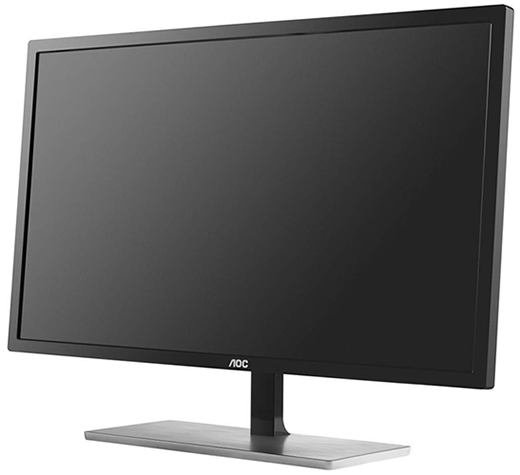 For just £200, the large, 31.5in display offers a 2,560x1,440 resolution, deep blacks, excellent contrast and FreeSync support at up to 75Hz. 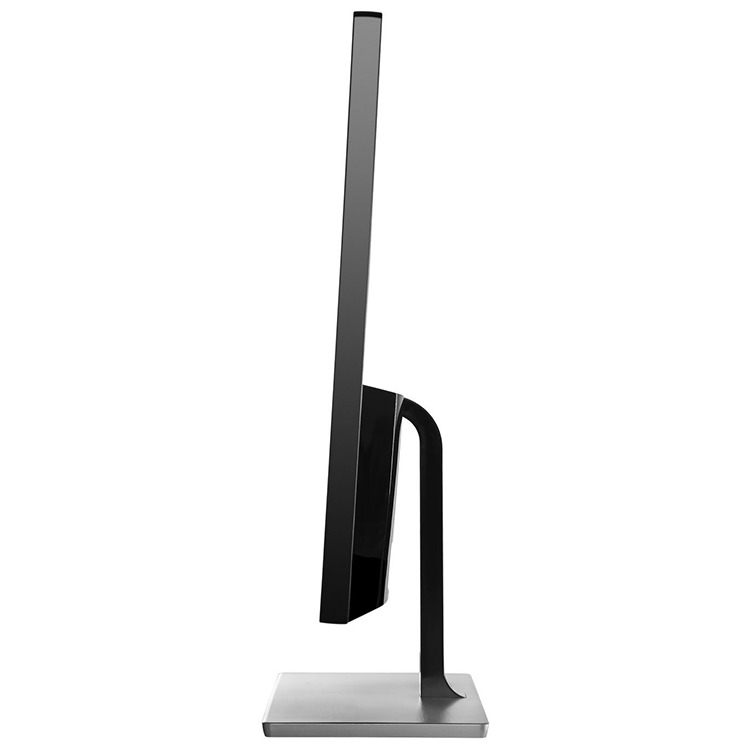 A lot of monitor for your money, and that sentiment was shared by certain readers who went out and bought one. 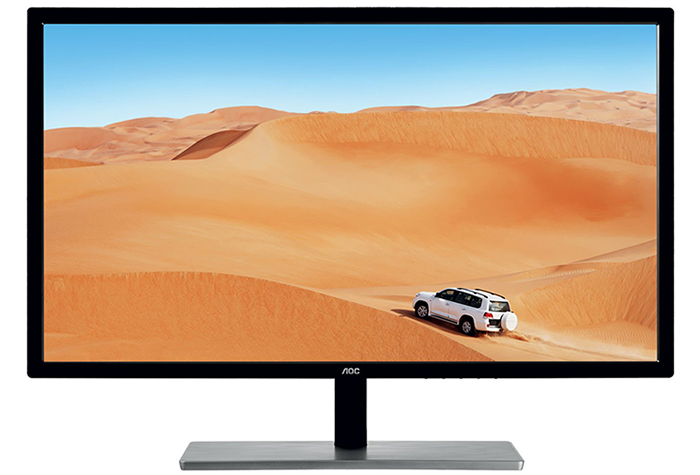 Appreciating the popularity of its big-on-size, small-on-cost proposition, AOC has rapidly introduced a follow-up model going by the name of Q3279VWFD8. The addition of the D8 to the name doesn't reveal a whole lot, and at first glance the screen appears almost identical. The chassis design hasn't altered, the price point remains glued to £200, and you still get FreeSync at 75Hz as well as a 5ms response time. What's changed is the type of display technology. Whereas the Q3279VWF employed a VA panel, the Q3279VWFD8 opts for IPS, in theory providing superior viewing angles and greater colour accuracy. For those unfamiliar with AOC's 31.5in proposition, a quick recap. The entire package measures 425mm x 730mm x 153mm in size, so make sure there's enough room on your desk, and though a total weight of 7kg isn't overly heavy, the sheer size is such that you'll probably want a hand during the unboxing procedure. Getting up and running is simple enough - the brush-effect stand attaches via a single thumb screw - but you soon begin to notice some of the cost-cutting measures. There is neither height nor swivel adjustment, with the stand limited to only -2º or +21.5º of tilt, and if you're considering a third-party arm or wall mount, you're out of luck as there's no VESA mounting point. In keeping with its predecessor, niceties such as a USB hub or speaker system are conspicuous by their absence, and while the baseplate is small enough not to obstruct your working area, the single arm holding the panel doesn't manage to eliminate wobble. Also as before, the controls line the bottom-right edge of the panel as you face it. Navigating the OSD is easy enough, though the buttons can at times be tricky to identify, but at this price point we're hardly going to lament the absence of a rear joystick or external remote. As far as 30in monitors go, this is about as no frills as they come, yet that's no bad thing. The product looks reasonably stylish, the plastic materials don't feel cheap, and the bezels aren't overly thick. Plus, did we mention it costs just £200? Let's not beat around the bush. 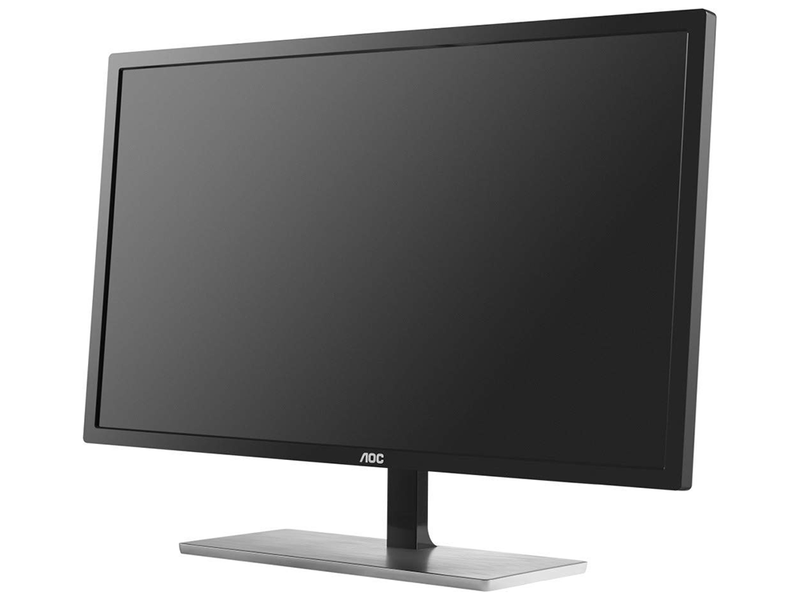 The appeal of the AOC Q3279VWFD8 is that it offers a sizeable QHD screen at an agreeable fee. 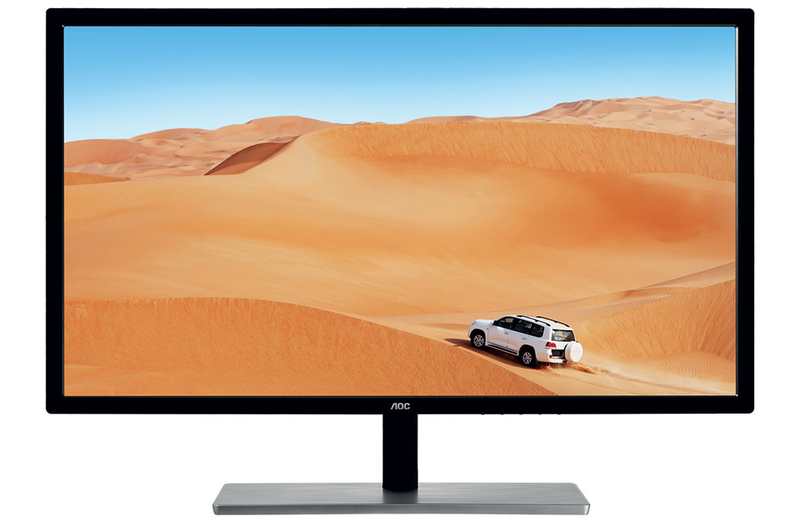 This time around, it's a matte IPS panel touting a 2,560x1,440 resolution, 5ms response time and support for AMD FreeSync in a narrow 48-75Hz range. AOC still quotes a maximum brightness of 250nits, but one side effect of the switch from VA to IPS is that contrast ratio falls from 3,000:1 to 1,200:1. Contrast may have taken a step backward, yet the benefits of IPS are felt elsewhere. Viewing angles are now excellent in all directions, and as we'll demonstrate in the forthcoming benchmarks, colour accuracy, coverage and uniformity all show noticeable improvement. The native resolution is a decent fit at this size - I've happily been using Windows with scaling set to 100 per cent - and the stock selection of ports covers most bases. 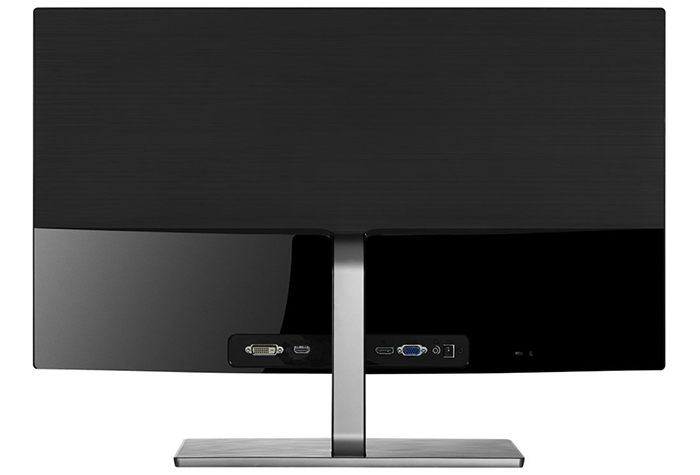 These include HDMI 1.4, DisplayPort 1.2, VGA, DVI, headphone out and power. We'd liked to have seen AOC add one or two extras - a VESA mount and onboard speakers come to mind - yet this remains a tempting package at £200. Let's now run the benchmarks and see what IPS brings to the table.